Adodis Technologies Pvt Ltd is a FRAUD. They STEAL money from clients by constantly feeding them LIES and making broken promises while collecting payments. This website, Adodis Fraud (adodisfraud.com), is our attempt to document the scam that Adodis Technologies Pvt Ltd is running. 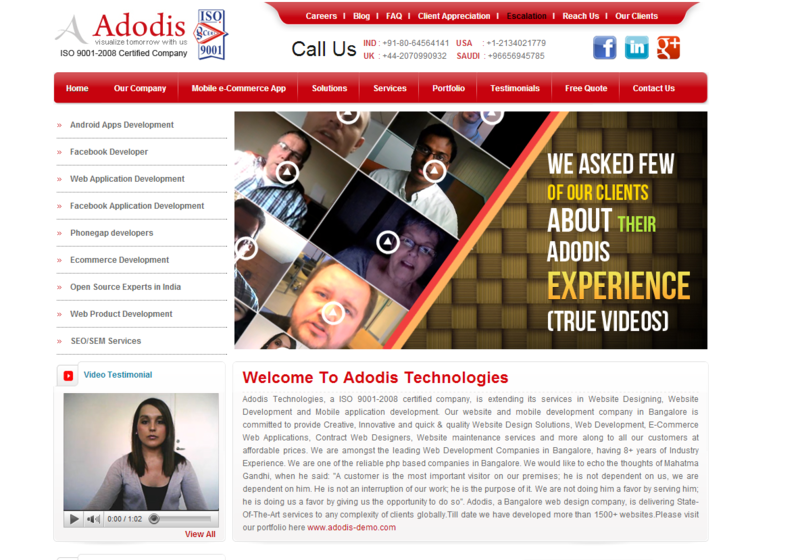 Adodis claims to be a software development company based in India with offices in multiple countries. We contacted them to do a project for us, but after 2 months of delays and empty promises, they eventually left us with no product and no refund. P.O. Box 7152, Code 12486. We have documented our experience and provided a timeline of events on our Blog Page to outline key events during our 2 month long nightmare. We have also captured complaints from other former clients that we found on the web and listed them on the Complaints Page. If you have questions or have a similar story to tell, feel free to contact us using the Contact Us Page. yes.. good work yar.. Adodis is a no 1 fraud..